Being an inclusive place to work offers everyone the chance to reach their true potential. 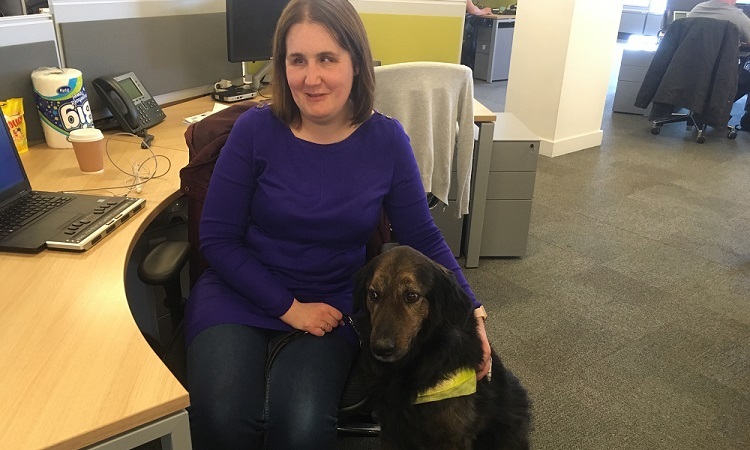 That’s why we shape our working environment to be inclusive of everyone, including Ami, a Compliance Analyst for AXA Insurance, and her guide dog, Keiran. If you want to work with a company that enables people of all abilities to succeed at work, view our vacancies here. Or you can find out more about our diversity and inclusion policy by speaking directly to Diversity and Inclusion Manager, Jess Hardy.